He's been travelling the world with his dad Michael in their hilarious Travels With My Father series. 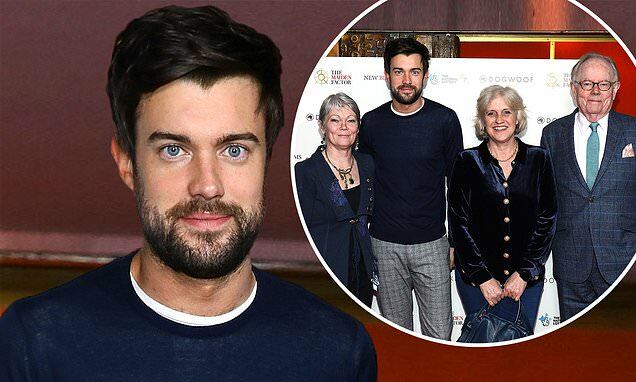 But Jack Whitehall enjoyed a rare outing with both of his parents on Thursday night, as they attended the premiere of the documentary Maiden in London's Curzon Mayfair. The much-loved comedian, 30, was in high spirits as he led the stars in attendance for the documentary's launch, which tells the tale of British rower Tracey Edwards and her all-female crew in the Whitbread Round the World Yacht Race. Jack cut a casual figure as he arrived for the documentary premiere with mum Hilary, 57, and dad Michael, 78, in what was a surprise group outing for the family. The comic is of course no stranger to speaking about his family in his stand-up routines, and has appeared in numerous TV series with his father.